I enthusiastically endorse Carolyn Jackson for the District 49A DFL endorsement and election to Edina’s House seat. 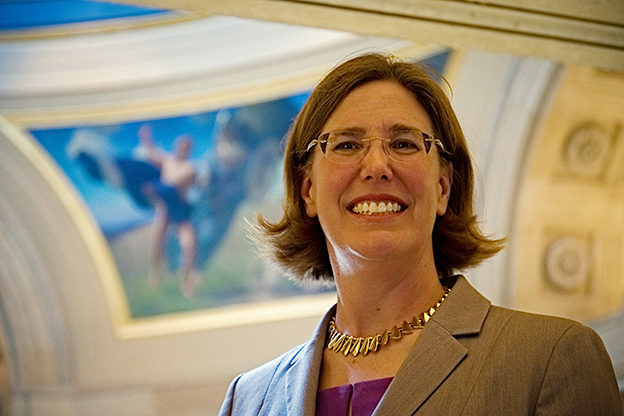 When I first met Carolyn Jackson in 2012, she was the Legislative Coordinator for the ACLU of Minnesota, spearheading their efforts to defeat the two proposed constitutional amendments on the fall ballot: voter suppression and a ban on gay marriage. The prospects for defeating the photo ID requirement looked especially grim. Polling showed the amendment polling something like 80/20 in favor. [A lot of people had given up on it.] But Carolyn and the ACLU did not give up on it. She made presentations and did debates all over the State. She recruited former Governor Arne Carlson and former Vice President Walter Mondale to chair the vote-no campaign. She twice appeared on my public affairs radio talk show on KTNF to educate voters. Governor Carlson also appeared on my show as a favor to Carolyn. In the closing days before the election, Carolyn and Governor Carlson debated Mary Kiffmeyer and Dan McGrath (from MN Majority) in a forum that received extensive newspaper and television coverage. As we know, both amendments were defeated; the photo ID amendment was defeated about 46%/54% in one of the greatest upsets in Minnesota political history. Carolyn worked the halls of the Legislature for 10 years for the ACLU. She has also worked on behalf of the Coalition of Greater Minnesota Cities. She already knows how state government works. If she went to the House as our Representative, she would pop to the top of the DFL House Caucus like a cork. You should follow the link and read the other endorsements, too: a retired Edina teacher, the executive director of the Minnesota County Attorneys Association, the former director of Teaching and Learning at the Edina Public Schools, and the policy manager for the League of Women Voters of Minnesota. Carolyn already knows most of the members of the Legislature, its leadership, and many of the legislative assistants and other staff, too. She would provide effective representation for Edina on her first day in office. In fact, the halls of the Capitol have been Carolyn’s “office” for a long time. If the DFL hopes to take back the House, District 49A is one of the seats it must win. Carolyn has the policy chops and acumen to win it. I think she is the best candidate, by a wide margin, for the DFL to run. The difference between Carolyn and the dilettante incumbent Dario Anselmo is vast.